WIDE+ and “Le Monde selon les Femmes”, Erasmus+ Project, Workshop and Discussion, 6. – 8. March, 2018, Brussels, Belgium. The international agenda and national policy debates have been dominated by the discourses on sustainability as a response to the ongoing crises. But what exactly does sustainability encompass and what influence does it have on the global regimes? Who has the power to de/regulate and what kind of logic is hiding behind it? Can we speak of a sustainable development at all, when visions of statehood, democracy and our common future seem to disregard gender justice? Workshop organised by the Joan Robinson Association, WIDE Austria, and the Economic Literacy Group, WIDE Switzerland. The deepening of the global financial and economic crisis has triggered an acute crisis of care work and state provision sector. 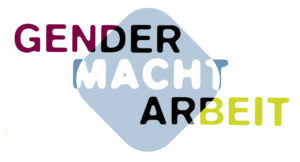 Within this context the conference “Gender Macht Arbeit” organized by WIDE Switzerland seeks to find answers to the following questions: how do societies go about organizing care and social provision services? Who does this work and under which conditions? Who has access to social welfare against the backdrop of severe state budget cuts and of increasing privatization of welfare services? How do households in the North and in the global South cope with the situation and what is happening on the globalized care work markets? Where do we stand with regards to women’s rights, time and money? The WIDE conference investigates the transformations of gender power relations in the area of paid and unpaid work through the lens of a transnational feminist perspective and focuses on four thematic areas: household economy, health care system, globalized work, and public finances. The conference brings together experts and activists from the field of development, migration, social and economic policy and invites them to present different perspectives on the conference topics as well as results of their research in this area. All interested women and men are warmly welcome to join us in discussions, analyses and debates on work, gender and the care economy. WIDE Annual Conference 2009: WE CARE! Care work, paid and unpaid, is a reality for most women all over the world, and care is a field characterized by enormous asymmetries between women and men. The critical analysis of the gender division and the valuation of work have been central motives of and motivations for feminist theories and struggles since the 1970s. In the context of the global financial crisis (in particular) and other global challenges (such as growing poverty, food crises, climate change, HIV/AIDS pandemic), care crises are becoming more and more evident. The approaches proposed by the political, economical, and humanitarian mainstream to face these crises – i.e. public austerity policies, monetization of care and commercialization of essential public services, (re)privatization of care into households while simultaneously promoting market access for women – are a multiple challenge for feminists: The misleading but generally accepted assumption is that women are dedicated to care by nature and that they have enough time and capacity to provide the framework for the (re)construction of care work. Alternative development concepts and economic structures, like a care- and provision driven economy, in which women have always been key actors, are persistently being marginalized. And moreover, global and local care regimes are establishing new unequal divisions of labor among women of different classes and origins. What are the links between care crises, proposed remedies, and gender inequalities? What kinds of concepts and projects do we as feminists have to challenge the intersectional structures of power, the binary gender order, and the old and newly reshaped inequalities? How can we promote alternative conceptions of work, time, benefit, livelihood, and well-being? 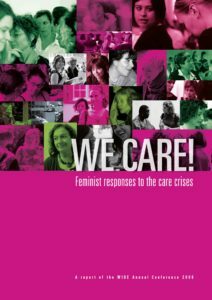 Care and unpaid work have been important issues of the new feminist movement. The ways of discussing them however, have changed. The WIDE Annual Conference 2009 will provide space to learn and discuss paid and unpaid care work and the current debate in more detail. The conference will highlight the dynamics of care from different perspectives: north, east and south. We will try to link care economy to other spheres of the economy, particularly to the global financial crisis, as well as to ongoing debates on development and welfare, in which gender equality and social justice are at stake. The conference provides spaces for discussions and brings together theory, experience, and policies from different regions. In addition, it offers an excellent opportunity to get to know the international WIDE network and the local platform WIDE Switzerland. The WIDE Annual Conference 2009 is open for all interested and committed individuals. The Global Financial Crises: what Impacts does it have on Care Crises? Christa Wichterich, Sociologist, Publicist and Gender Consultant: Feminist Responses, Demands and Perspectives: Download Power Point.